As people get older and look to change their living arrangements, they are faced with a myriad of options, often making it difficult to decide exactly what their next best step may be. Whether you’re looking at options for yourself or a family member, your ultimate aim is to make the choice that can give you what you desire and still provide the practical things you might need. For most people, maintaining an independent lifestyle means staying in the family home or downsizing to a smaller home that’s easier to maintain. This may be an appropriate choice when home is close to health care and amenities and provides for an active social community through family and friends or local residents. For people who need some assistance, home services can usually be accessed through private operators, not-for-profit organisations or the local council. Such services do however come at a cost and this should be considered when evaluating this option. Many people also opt to move in with their children. This might mean having some renovation work or adjustments to the house to accommodate older parents and their needs. 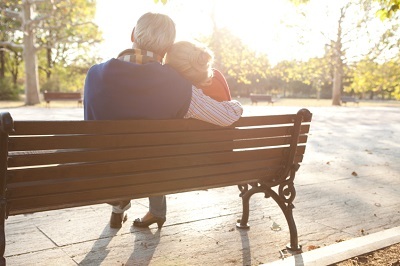 It is important to review the pros and cons of this arrangement, including whether or not the family is equipped to take care of an ageing loved one and any additional services needed. The growth in self-contained retirement accommodation also throws up many different choices. These can vary greatly in terms of the quality and style of accommodation and range of services offered. Some also offer round the clock assistance with different care packages. Naturally, the greater the services required, the greater the likely fees incurred. The legal structures relating to retirement communities can vary greatly. Before entering any arrangement, it is absolutely vital to be aware of and understand the terms that you are consenting to. Different facilities are likely to have different fee models including different entry, exit and ongoing costs, plus extra costs for additional services you might need. Always read the fine print before entering a contract, ensure that you fully understand your entitlements and obligations, and get independent professional advice - sometimes there’s more than meets the eye. No matter what you decide, any change to your living situation or the level of support that you need will involve changes to your financial obligations. It is important to assess how these changes might affect your position and understand your financial capacity to weather them. Your financial adviser is well placed to help you map out and evaluate your options and put a plan in place to support your ongoing needs. See what home care services are available in your locality through the Government’s aged care portal or contact your local council.